Sasaki Time: Giveaway: Call of Duty GHOSTS for PS3 or XBOX 360! 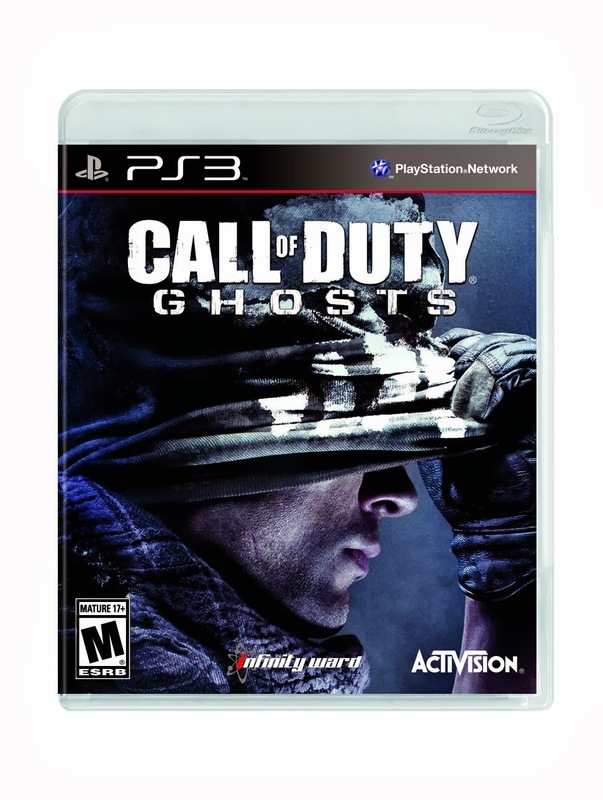 Giveaway: Call of Duty GHOSTS for PS3 or XBOX 360! 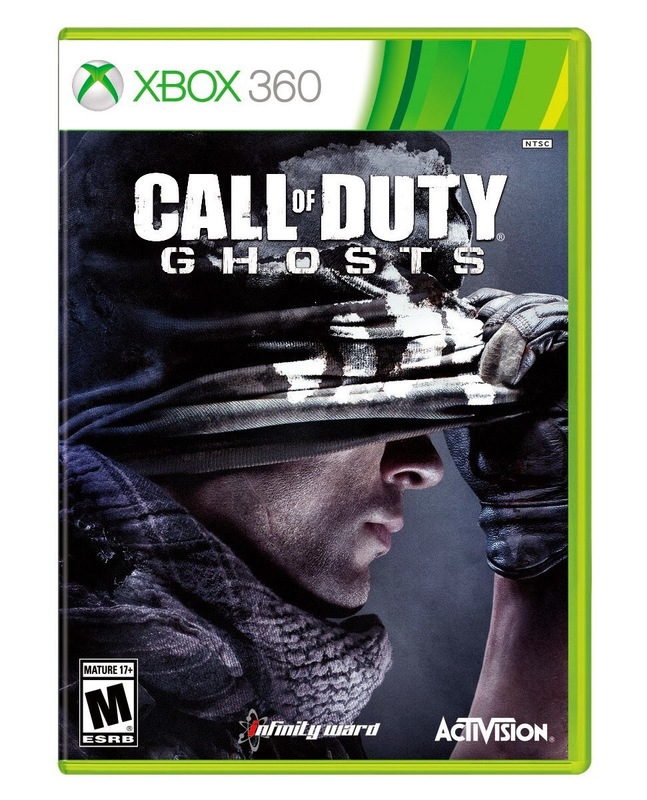 Enter to win Call of Duty GHOSTS for PS3 or XBOX 360! They already have zombies, so I wouldn't! Keep it only with normal stuff and remove all the zombies after all this isnt suppose to be a horror game. Ohhhh I would add real bonus $ given to those who reach certain goals~ otherwise it's already pretty darn awesome and addicting. My husband is the Call of Duty fan so I'm not sure. I would not improve anything, game is great as is. I've never played Call of Duty. I've never played it before so I have no idea how I would improve it. I'm kind of new to gaming. Smarter matchmaking lobbies, better suited to like connection and age restricted lobbies. theres nothing id change about this game....its awesome just the way it is!!! Hubby said change spawn points. Get rid of the stupid "1 shot in the foot your dead" mentality. Less lag and better spawns. 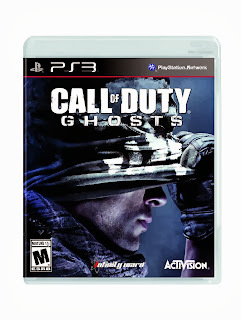 Hoping Ghosts is better then BO2, I've been told it is, but can't wait to try it out for myself! Haven't played this one yet but really want it! I haven't played it but I have never heard any complaints about it from people that do play it. I'm not sure I have never played it. Better graphics, longer single player campaigns, and I think I would try a different setting. My husband played it and he said he would make the weapons more powerful. He also wants to be able to jump sideways. I wouldn't change a thing,because it's good the way it is. We wouldn't change a thing about it, we love call of duty!! I think its already a great game, but to have unlimited players per team would be my best improvement. I have no idea I don't play it but hubby is a huge fan I don't think he would change a things about it. I would like age restricted lobbies. Tired of foul-mouthed 9 year olds cussing and complaining all the time! I'm not really sure because I've never played it.